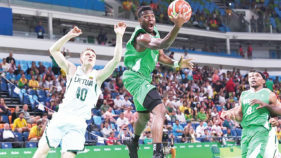 Alex Nwora, Head Coach, Nigeria’s Senior National Men’s Basketball team, D’Tigers, says winning their first game is the most important thing in the ongoing FIBA World Cup qualifiers holding in Lagos. 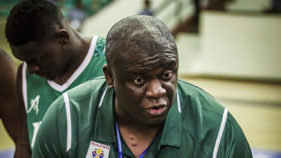 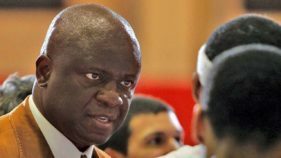 Head coach of the men’s national senior basketball team, Alex Nwora is banking on hard work and better team chemistry to improve the chances of his team qualifying for the FIBA 2019 World Cup. 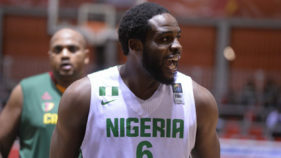 Coach of D’Tigers, Alex Nwora, has said he will be relying on the quality leadership and experience of team captain, Ike Diogu, for a successful prosecution of the 2019 FIBA Men’s World Cup qualification, as the second phase of the African qualifiers dunk off in Lagos on June 28. 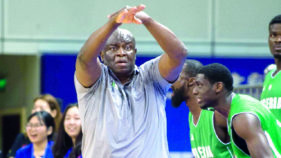 United States of America-based Nigerian, Alex Nwora has been named as the new head coach of the D’Tigers team ahead of their 2017 Men Afrobasket tournament title defence.